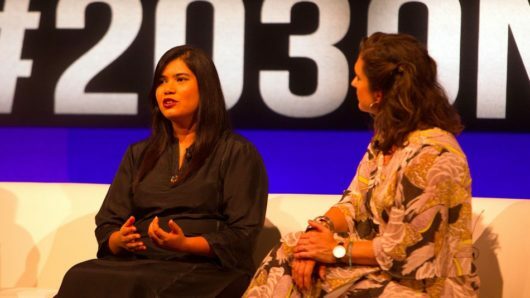 Held annually during the United Nations General Assembly week, the Social Good Summit unites global citizens and progressive thought leaders around technology and new media’s impact on human progress. This year I had the opportunity to serve as a United Nations Association Social Good Blogger to spread the word about the outstanding work of the individuals who are changing the world through technology and new media. Here are three technological solutions presented at the 2017 Social Good Summit that are making the world a better place. With the rise of unreported sexual assault, ElsaMarie D’Silva felt compelled to create a platform in which victims of sexual assault and violence can share their stories and report geographic areas that present a risk to others. D’Silva created the Safecity app, which allows victims of gender-based crimes to report the location and time, as well as the details of the crime. With people sharing this information, a map is created that shows users high-risk areas in close to realtime. Another feature of Safecity is that it allows victims of gender-based violence to connect and share their stories in an anonymous forum, which can aid in the recovery process. This app can help empower the victims of gender-based violence to seek professional help or otherwise take the necessary steps to heal. 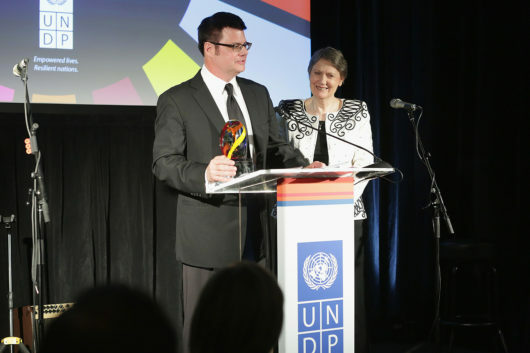 Jeff Martin, CEO of Tribal Planet, and his company are working with other tech companies to bring the Sustainable Development Goals (SDGs) into the hands of the average consumer. By using the Tribal Planet app (available November 28th), a consumer can see how his or her actions—big and small—help achieve the SDGs. By utilizing the app, consumers can see their impact by doing everyday things such as going to school and entering commercial buildings. Corporations will also be held accountable by having their SDG ambitions and results publicly displayed to the users of the app. Additionally, the app allows an individual to share their personal SDG progress to social networking sites in the hopes that it will help form habits that support the SDGs as well as encourage others to start making an impact. 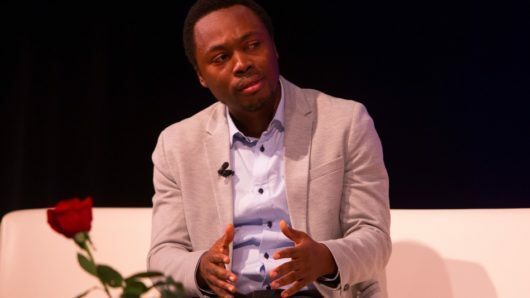 Oscar Ekponimo is founder and CEO of Chowberry, an app that uses internet-based software to connect retail merchants with consumers suffering from food insecurity. Through the Chowberry app, merchants are provided data on items in stock that are within 90 days of expiration, for which the merchant can then offer a price discount. The purpose of this system is twofold: first, it allows the merchant to clear inventory space without wasting food, and second, it gives organizations and people who are facing food insecurity an opportunity to receive quality food at a heavily discounted price. Organizations have been able to use the service to feed people for as little as $1.00 per person. Currently, Chowberry is being used in Nigeria, but the app presents the opportunity to connect worldwide organizations who serve the needy with a low-cost alternative and to reduce food waste. The 2017 Social Good Summit focused on how technologies like these have redefined our understanding of human progress and have helped us make progress towards the Sustainable Development Goals (SDGs). As the world continues to work to achieve the SDGs by 2030, we have a responsibility to ensure that we use technology for good and we use it to bring about accountability. With these technological approaches, we are surely on the right track. Jordan Hibbs is a 2015 graduate of the Master of Science and Technology Policy (MSTP) program, now at ASU’s School for the Future of Innovation in Society. She is currently serving a two-year appointment as a Presidential Management Fellow at the U.S. Department of Energy, Building Technologies Office in Washington, DC. This post originally appeared on her blog.